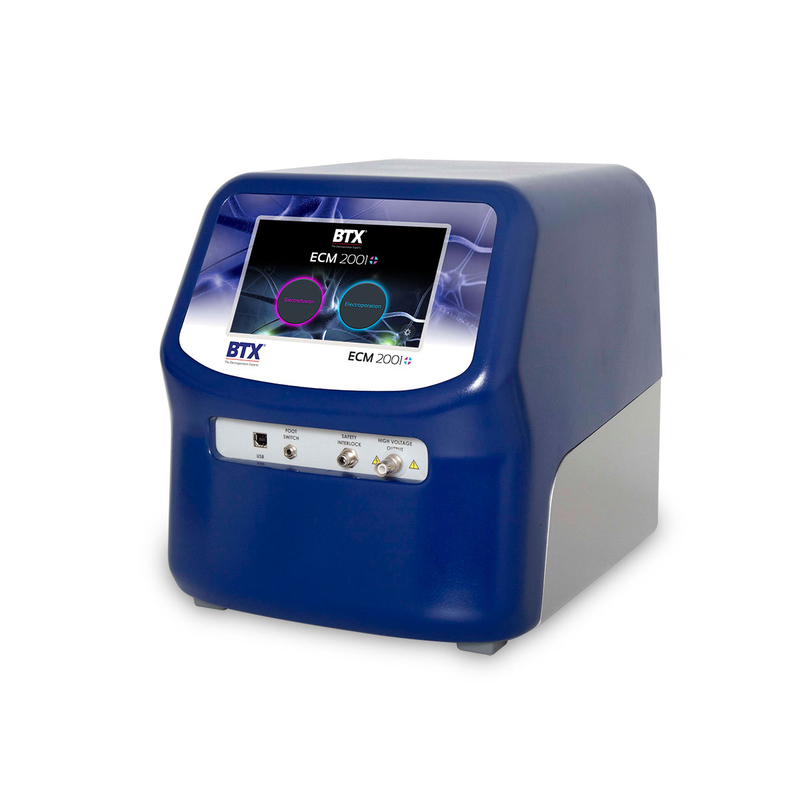 The Adherent Cell electrode is a reusable electroporation applicator designed to fit into each single well of a 12-well plate, 6-well plate or an individual 35 mm diameter Petri dish. This plate electrode is specially designed to electroporate cultured monolayers of cells on laminin-coated filters, or on 12 mm polycarbonate or polyester transwell filter units (0.4 mm pore size). 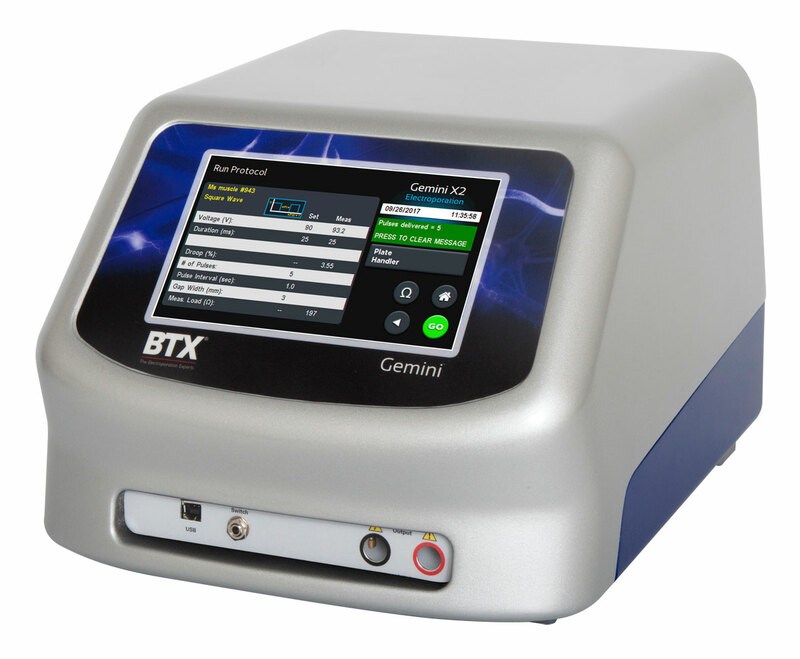 It can directly electroporate adherent cells such as human corneal keratocytes, Caco-2, dental pulp cells, NC65 and BCEC and MDCK cells. 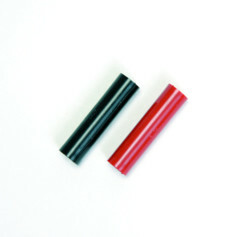 The Adherent Cell Electrode consists of two parallel plate electrodes, 7 x 19 mm with 5 mm gap spacing between the plates. 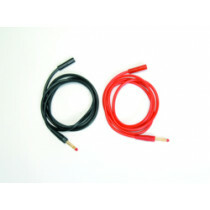 Each plate electrode has a 0.3 mm height insulated foot at both ends of the bottom. 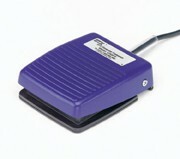 When the electrode is placed in a dish, a foot minimizes the damage on cells. 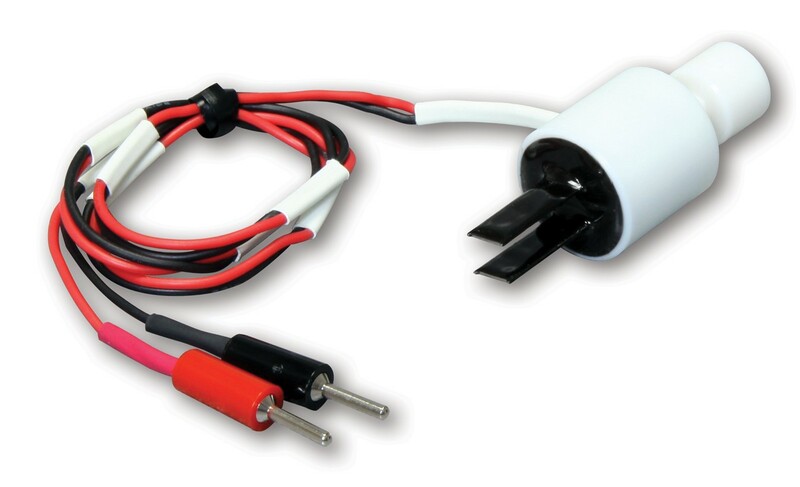 The high voltage cables are connected to a BTX electroporator, and the electrode is brought down onto the filter until it makes contact with the buffer, usually at 1- 2 mm above the filter. A combination of HV and LV pulses may be used. 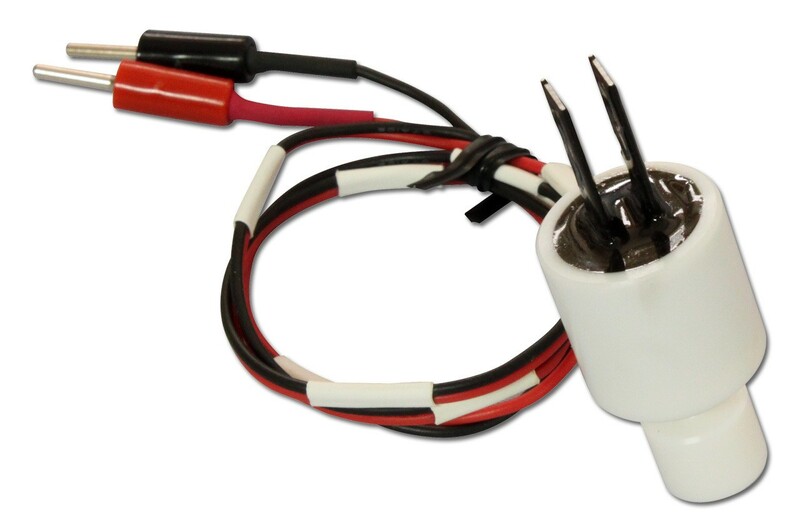 Adherent cell electrodes are compatible with Gemini X2, ECM 830, ECM 2001+, and Legacy ECM 2001 Generators. 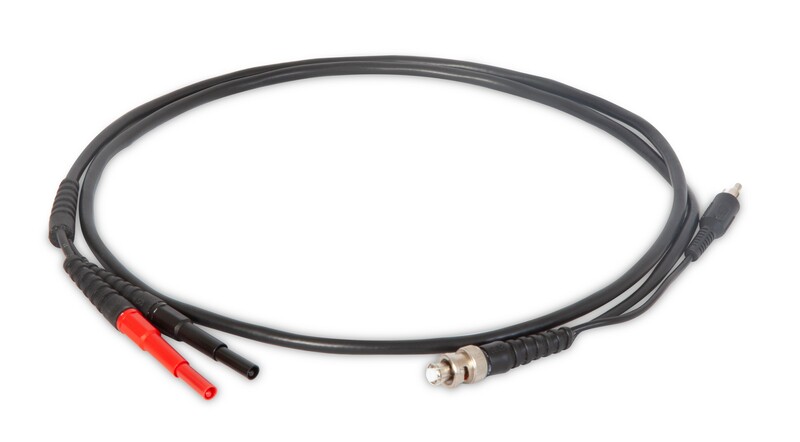 In this example, the Gemini X2 generator is connected using the sequence of cables and adapters illustrated below, then connected to the Adherent Cell Electrode. 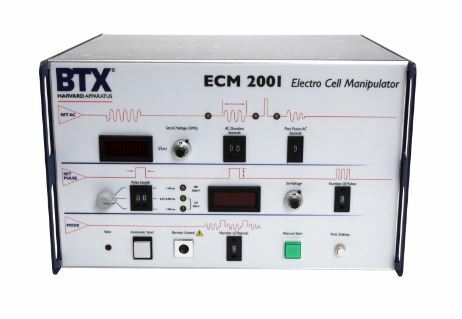 In this example, the ECM 2001+ generator is connected using the sequence of cables and adapters illustrated below, then connected to the Adherent Cell Electrode electrode. 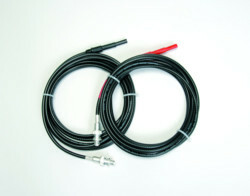 In this example, the Legacy ECM 2001 generator is connected using the sequence of cables and adapters illustrated below, then connected to the Adherent Cell Electrode.